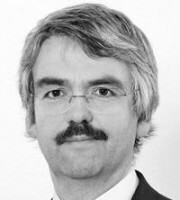 Michael Best has been a German and European patent attorney since 1995 and became a partner at Lederer & Keller Patentanwälte Partnerschaft in 1998. He has a strong technical background in chemistry and handles a broad spectrum of pharmaceutical, macromolecular and physical chemistry matters. Dr Best has extensive experience in patent prosecution before the German Patent and Trademark Office and the European Patent Office (EPO). His work is focused on opposition and appeal proceedings before the EPO, as well as nullity proceedings before the German Federal Patent Court and the German Federal Supreme Court – in particular oral proceedings. He also provides freedom-to-operate opinions and advice on patent litigation strategies. The core of Dr Best’s practice is multi-jurisdictional litigation and he is experienced in litigation proceedings across Europe. He has been the lead patent attorney in many high-profile opposition, nullity and litigation cases including pharmaceutical blockbusters (eg, omeprazole, esomeprazole, alendronate, fentanyl, fulvestrant, pemetrexed, pregabalin and tadalafil), as well as polymer and general chemical cases. Dr Best graduated in chemistry and physics from the University of Mainz in 1991 before working as a postdoctoral researcher at the HH Wills Laboratories, University of Bristol. He received his legal training at an international firm, the German Patent and Trademark Office, the German Federal Patent Court and the Munich Lower District Court.